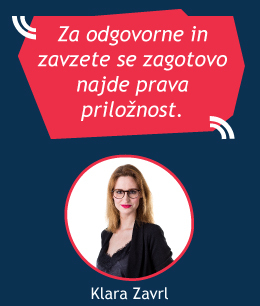 Hello, my name is Špela Vičič. 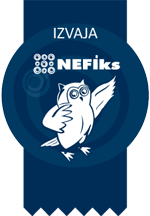 I am going to lead an International Nefiks club for youth with foreign students at Nefiks and we are going to learn Slovene and discover Slovene culture together. 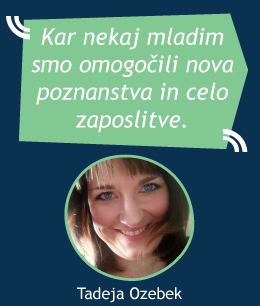 Nataša Progar is my mentor at Zavod Nefiks and she is the coordinator of language clubs. 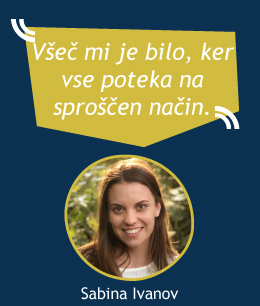 I invited her for an interview to share her international experience and maybe inspire you to go and try it out as well! 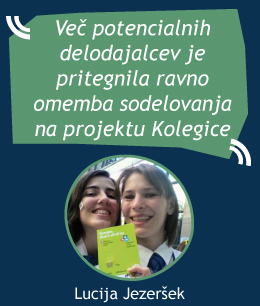 When did you decide on joining in programme Erasmus+ Youth in action? I gained my first experience with this programme in 2014, when I went for a 10-days training in Newcastle upon Tyne (north from London), where the topic was Raising health awareness among youth. Same year I also attended training in Sicily, which was about Youth unemployment in Europe. This was my first time of combining fun with useful experience and I gained a lot of new knowledge, travel experience and everything that comes with it. Why did you pick Newcastle as your first destination? Training in Newcastle was interesting to me, because I like to immerse myself into the topic of healthy lifestyle and I wanted to hear about the opinions of other young people like me from different EU countries. This exchange of ideas on such trainings always inspires me, because I can expand my horizons in different fields and sparks my curiosity. What kind of questions occurs in your mind before you go abroad and after you come back? Before I apply to a training or exchange, I ask myself whether this experience will benefit my personal or career growth (if it is the mix between the two then it is super cool!). Before I go, I do not ask myself questions like: Will the people be nice? Will there be good food? Will I be able to get some sleep? These thoughts only present obstacles and set me apart from really looking forward to an adventure. I focus my thoughts on goals I intend to accomplish by participating in the opportunity given. Afterwards I reflect on what I've learned and I think of ways, how I can implement my gained knowledge in practice. How many people did you meet so far? How did you manage your accommodation? How did you deal with adjusting to the new environment? Until now I met around 100 to 150 people from different EU countries (UK, Turkey, Bulgaria, Romania, Spain, Czech Republic, Belgium, Greece and I could go on and on). Let's say I have at least one friend in all those countries. Organizers always provided accommodation for participants. 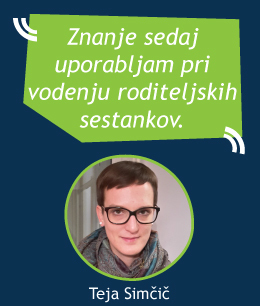 For example, when I went to Hungary for 2 months for a European volunteer job, the local community arranged my accommodation even before my arrival! I also had a mentor and coordinator, who both helped me with assimilation. How did you adjust to the new language and culture? Was there something you liked or maybe an obstacle that threw you off balance? At first, especially in bigger groups, I was shy, because I was not confident with my English skills. That is why I rather listened to conversations than joining in. Given time I improved my vocabulary and today I can say sometimes I am talking too much and it is hard to stop me. I encountered other languages and I gained interest in learning foreign language such as Spanish, Italian, German, Polish even Hungarian. But I must say Hungarian is not really my cup of tea. 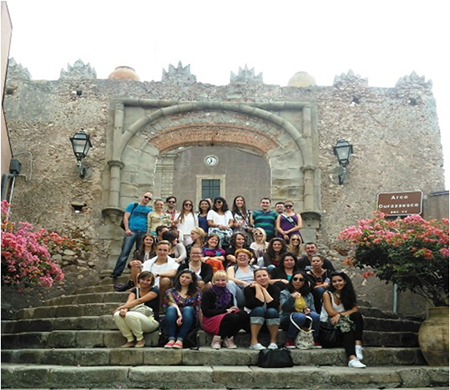 Every exchange is a mix of participants coming from different cultures with different habits, characters and personalities. I have to say I got rid of several stereotypes and I find joy in meeting young people coming from different cultural backgrounds. It is hard to throw me off balance. I got used to how sometimes I don't have any influence over a situation and just go with it. Do you have a funny moment to share from one of your exchanges? 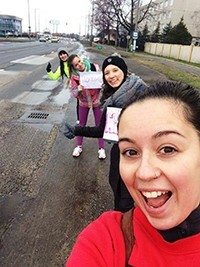 I have a bunch of wonderful moments from my exchanges, but the funniest one would be hitchhiking in Hungary on our way to the wine region of Tokaj. I was with Slovenian and Spanish friends, standing by the road and trying to catch a ride. We were trying to find the perfect location to do it and we were making up stories how this crazy hitchhiking idea could turn out. In just 5 minutes we caught a ride and it was two Swiss guys driving home from a rock concert. They put on AC/DC songs and we were enthusiastically singing karaoke on back sits for the whole ride. We reached our destination faster than we expected! 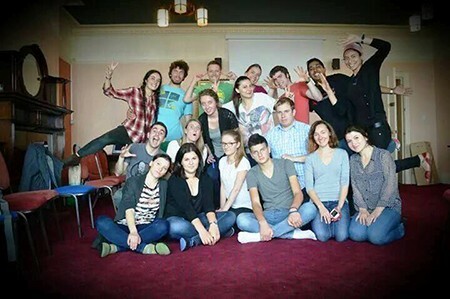 My plan is to switch from being a participant at Erasmus+ Youth in action programmes to organizing them. 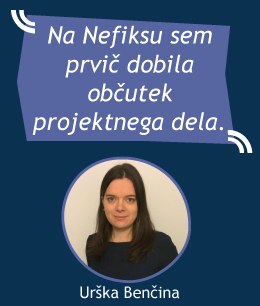 Working at Nefiks opened a lot of doors for me and I want to translate all the gained knowledge from working with youth into creating useful projects for community, especially for vulnerable groups and organize this in Slovenia as well as abroad. 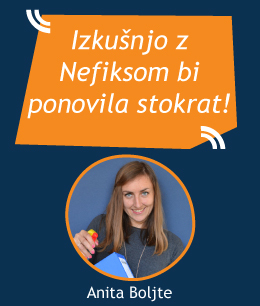 If you are also looking for opportunities described in this interview join us in International Nefiks team HERE. For any additional information write us at nefiks@nefiks.si.